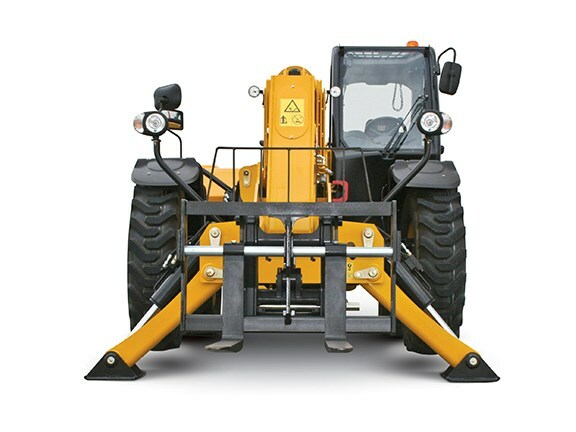 Telehandlers can be used for lifting, placing and loading. The Cat TH407 telehandler has a 3.7-tonne lifting capacity. 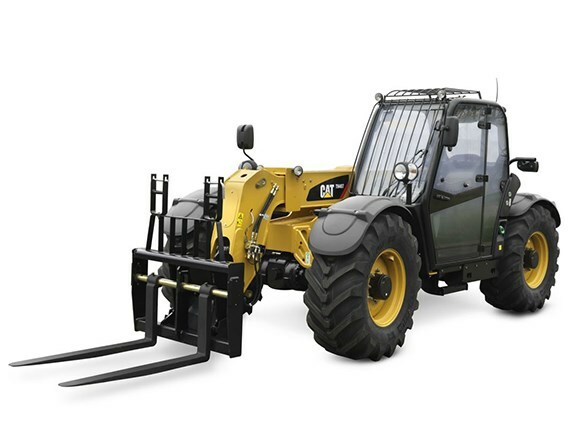 TELESCOPIC handlers, or telehandlers, are one of the most versatile machines available today. With great flexibility and performance, they can handle heavy bucket loads, reach impressive lift heights, manoeuvre through congested work sites and even tow a trailer, quickly moving it from one location to another. Known for their durability, the strength of telehandlers comes from their design and how the boom extends outward and upward from the vehicle. The boom can be separated into two, three or even four segments and is operated by either chains or hydraulic cylinders. Most commonly used to lift and place materials, telehandlers can also perform loading tasks, including bucket work to move aggregates and other loose material. Whether the application is general construction, road and bridge construction or agriculture, telehandlers can be used to unload materials from delivery vehicles, transport items around job sites and place loads at high elevation, such as scaffolding or rooftops. With a range of lift and height capacities available, it’s important to understand the task at hand in order to select the telehandler best suited for an operation. Telehandlers come in a variety of size classes, from compact machines that handle around 2 tonnes up to larger versions with lifting capacities of 5 tonnes or more. If tight spaces are a challenge, consider a design with low machine height where the boom doesn’t need to be extended upward. Models with proportional hydraulic flow sharing allow operators to multitask without decreasing hydraulic cycle times. Booms can have a high-pin or low-pin design. A high-pin boom requires the operator to look under the boom when moving materials. A low-pin boom provides optimal all-around visibility even when the boom is lowered, which is commonly used on compact machines to move loads that can be carried low to the ground. To take full advantage of the machine’s versatile nature, consider the range of attachments available. A design that incorporates a quick-attach coupler will make changing attachments easy with the push of a few buttons from inside the cab. Swapping attachments from a bucket to a shear or a fork shouldn’t take more than a few seconds. While telehandler performance is comparable to other construction equipment, the big difference is that the load can be moved out of its safe zone if precautions aren’t followed. It’s very important to know the weight of each load and not exceed the machine’s maximum capacity. Overloading leads to the machine tipping forward or even toppling over. For this reason, an easy-to-read load chart should be provided inside the cab. Another important safety tip is to always lift before you place. The operator should move the attachment into a load and secure it with the boom fully retracted, then lift and extend the boom. Remember to lift then extend, in that order. It’s a more productive way to operate the machine and ensure loads are within a safe capacity. Only use telehandlers on firm ground or surfaces. Confirm whether the machine is in two-wheel, crab or circle steering mode before beginning operation. Check for overhead obstructions before raising loads; never raise the boom if contact with overhead power lines is a possibility. To prevent tipping or overturning, avoid raising loads when the machine is on a slope unless the machine has a frame levelling option. Avoid driving on steep slopes in general and never drive laterally across excessively steep slopes. Always maintain visibility of your surroundings, especially when other people are working near the machine. Never leave the operator seat while the engine is running; always shift to neutral, set the parking brake, turn the engine off and remove the key before leaving the machine. Mike Peterson is a telehandler product application specialist for Caterpillar in North and South America. He has 13 years’ experience, including roles in the field as a dealer service operations and technical support representative, and as a distributor business model consultant.